Please note most RCCL cabins have a limit of 4 people, except for the larger suites. 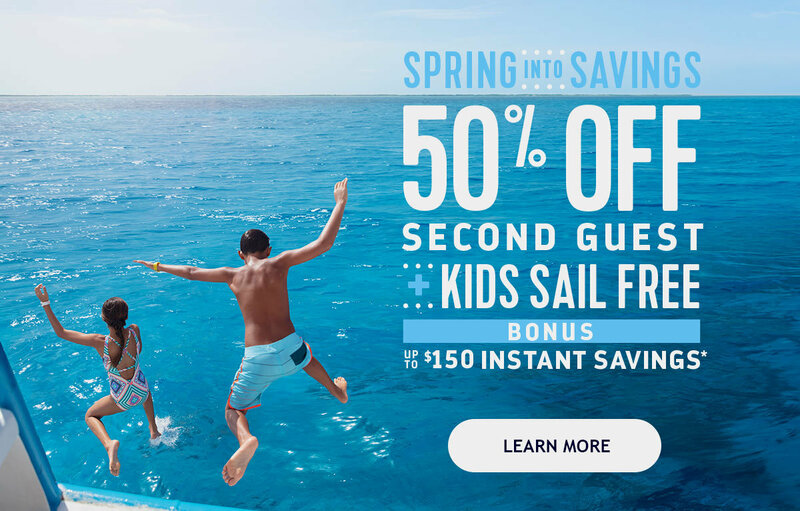 Offer excludes Summer sailings (Sailings between 5/15/19 – 8/31/19), 2019 Thanksgiving sailings (Sailings between 11/23/19 – 11/30/19), Holiday sailings (Sailings between 12/15/19 – 1/3/20), President’s Day sailings (Sailings between 2/14/20 – 2/17/20), Spring Break sailings (Sailings between 3/14/20 – 3/23/20) and Holy Week/Easter sailings (Sailings between 4/3/20 – 4/17/20). We recommend Travelex Travel Insurance to protect your money in the event of an unforeseen emergency.